The Central Agriculture show organised by the Ministry of Agriculture is an important platform to promote agriculture to our school children, women and youth. The Minister of Youth and Sport, Viliame Naupoto, said this while opening the three- day event at Syria Park, in Nausori. “This is an important information platform to promote agriculture as an income earner, profession, lucrative business and a healthy source of living especially to our school children, women and our youth. 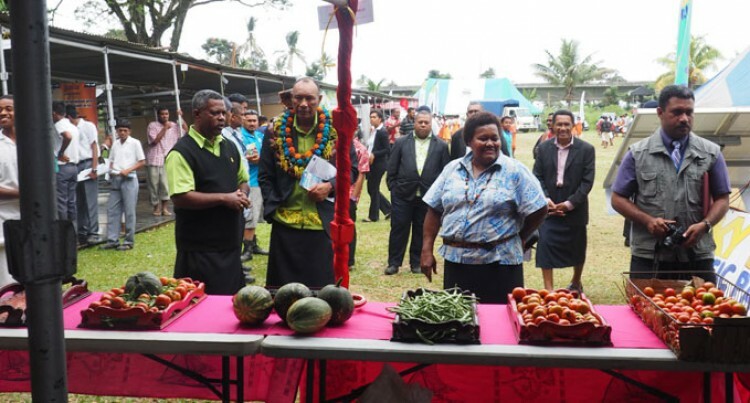 The current government’s five- year development plan is to modernise Fiji’s agriculture sector and craft famers as the most competitive and successful in the region. “Farming is becoming a highly specialised skill and farmers need the proper training and support to effectively carry out their work whether it’s subsistence or commercial level for the export market. “The government wants all Fijians to benefit from growing more food locally in a country blessed with so much fertile land. The government has already put in place a number of innovative initiatives and projects which are making considerable progress. “For example, for the first time this year, it has introduced and will continue to provide fertiliser subsidy for non-sugar farmers. “We have reduced duty on agricultural implements, machinery as well as most other agricultural items,” he added. As a stakeholder the government continues to invest in food security programmes across the country, including those in the coconut, ginger, vanilla, rice and other cottage industries.